How do you find a good criminal defense lawyer in Laredo, Texas? Experience is Important: A good criminal defense lawyer in Laredo, Texas is going to have experience. Lawyers go to law school to learn theory. However, to become a good criminal defense lawyer, a lawyer must practice in the field of criminal law. Many good criminal defense lawyers are former prosecutors or former public defenders. Why? Because prosecutors and public defenders acquire a great deal of criminal law practice in short period of time. Roberto Balli is former prosecutor with the Webb County District Attorney’s Office. In fact, Roberto Balli acquired a great deal of experience as the First Assistant District Attorney at the Webb County District Attorney’s Office, where he tried all kinds of cases including D.W.I., drug charges, family violence/domestic violence charges, murders/homicides, intoxicated homicides, aggravated assault with a deadly weapon, sexual assaults, child abuse charges, and theft/white collar crime charges. Trials: To be a good criminal defense lawyer in Laredo, Texas, a lawyer should have a track record for trying cases. Although not all cases go to trial, it is important that a lawyer feel comfortable enough and have the experience to try a case if necessary. Roberto Balli is a criminal trial lawyer in Laredo, Texas. Roberto Balli has tried many cases in Laredo, Texas, including felonies and misdemeanors. Roberto Balli has tried cases including: D.W.I., drug charges/ drug conspiracies, family violence/domestic violence charges, murders/homicides, intoxicated homicides, aggravated assault with a deadly weapon, sexual assaults, child abuse charges, theft/white collar crime charges, weapons charges, organized crime/racketeering and alien smuggling charges. Federal and State Experience: A good criminal defense lawyer in Laredo, Texas, should have experience in the Federal and State Courts. This is because there are both similarities and differences in Federal Criminal Practice and State Criminal Practice. A good criminal defense lawyer has experience in both the Federal Courts and State Courts. Roberto Balli has been practicing in the State Criminal Courts and the Federal Criminal Courts in Laredo, Texas. In fact, Roberto Balli has had a criminal jury trial before every sitting State District Court Judge and County Court at Law Judge and every Federal District Court Judge in Laredo, Texas. Good Communication: A good criminal defense lawyer in Laredo, Texas, should have good communication with the client. It is important that the lawyer and the client be able to communicate with one another and that the communication be positive. Roberto Balli prides himself in meeting with his clients and keeping open communication. Board Certified Criminal Lawyer: Roberto Balli is certified in Criminal Law by the Texas Board of Legal Specialization. The Texas Board of Legal Specialization awards a Board Certification in Criminal Law only to qualified licensed Texas attorneys. Attorneys must have practiced law in Texas for at least 5 years and must demonstrate that they have participated in a certain number of Criminal Trials and Criminal Appeals in State and Federal Courts. The lawyer must also demonstrate completion of a certain number of course hours in approved criminal law continuing education. The attorney must then pass a comprehensive exam in Criminal Law that includes Texas Criminal Law, Federal Criminal Law, Texas Criminal Appellate Law, Federal Criminal Appellate Law, and Criminal Constitutional Law. Lawyers like Roberto Balli that are certified in Criminal Law by the Texas Board of Legal Specialization have be pre-screened for you as possessing a high level of competency in criminal law. How do you find the best criminal defense lawyer in Laredo, Texas? When looking for the best criminal defense lawyer in Laredo, Texas, it is important that you look for an attorney with experience in criminal cases, with trial experience, and with Federal and State experience. It is also important the criminal defense lawyer be a good communicator. Ultimately, the best criminal defense lawyer in Laredo, Texas is the one that you feel the most comfortable with. Here are some tips for finding the best criminal defense lawyer in Laredo, Texas. Interview the lawyer and ask about experience. Find out if the lawyer has experience handling criminal cases that are similar to yours. Talk to people at the courthouse. They see the attorneys at work every day, and they can tell you about the attorney’s reputation and experience in criminal law. Use a search engine to get information about the lawyer. This will help you learn about some of the bigger criminal cases that the lawyer has handled. Check the local media. Not all criminal cases make it to the wire, so local media like the local newspaper or local television station may have websites to search old stories in which a lawyer’s criminal cases may appear. Check the State Bar of Texas web site to check if there has been disciplinary action against the attorney. Check the State Bar of Texas website to see if the attorney is certified in Criminal Law by the Texas Board of Legal Specialization. Lawyers like Roberto Balli that are certified in Criminal Law by the Texas Board of Legal Specialization have been pre-screened as possessing a high level of competency in criminal law. Ultimately, it is important that a client feel comfortable with lawyer based on legal experience, communication and any other factor that a client feels is important. Therefore, the best criminal defense lawyer in Laredo, Texas is the one that you feel most comfortable with. Laredo Criminal Defense Lawyer Roberto Balli strives to do the very best job for his clients and to do the best criminal defense work that he can. Each year Roberto Balli attends criminal law training and education courses to keep updated on the latest cases and developments. This is important because the law is constantly evolving. Further Roberto Balli tries to take on challenging cases and does trial work. This helps improve his skills so that he can do his very best job for his clients. Laredo Criminal Defense Lawyer Roberto Balli feels confident that if you look into his background you will find that he has vast experience in criminal law in Laredo, Texas. If you would like the Balli Law Firm representing you in criminal law matter, please contact their office at (956) 712-4999 or send an email us. 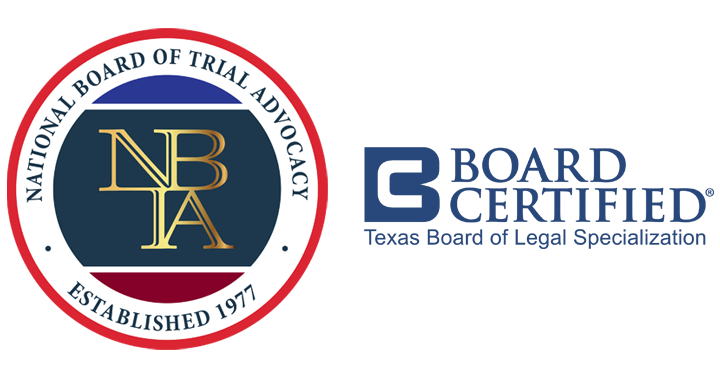 Roberto Balli is a board certified attorney in criminal trial law by the National Board of Trial Advocacy and the Texas Board of Legal Specialization. Board certification demonstrates that an attorney has tested substantial experience in a selected field of law. With more than 90,000 attorneys licensed to practice in Texas, less than 7,500 have earned the right to publicly represent themselves as a specialist. The information contained on this web site is for informational purposes only. It is not to be considered legal advice and does not create an attorney client-relationship. The law is an ever changing body of information, and you should verify the information is current. The owner of this web site, and/or its content provider, does not warrant in any manner whatsoever that the information contained on this web site is current and/or reflects the current status of the law. If you have a legal problem, situation, or question, you should seek legal advice directly from an attorney. Law Tavern Websites. All Rights Reserved.